1. Mobile phones have to build QR tech right into the camera. 2. Businesses have to focus and decide what their engagement goal is. 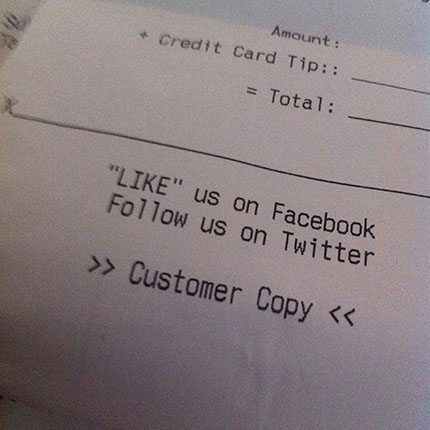 If I had my way, Classic Diner clients would see a QR code on this receipt and by snapping a photo of it they would automatically ‘like’ the restaurant on Facebook. Or, better than that, they would sign up to receive direct–perhaps even custom–offers right from the restaurant. Bottom line: businesses should make the connection experience radically simple and super meaningful.